Sometimes it’s the smallest good deeds that mean the most. 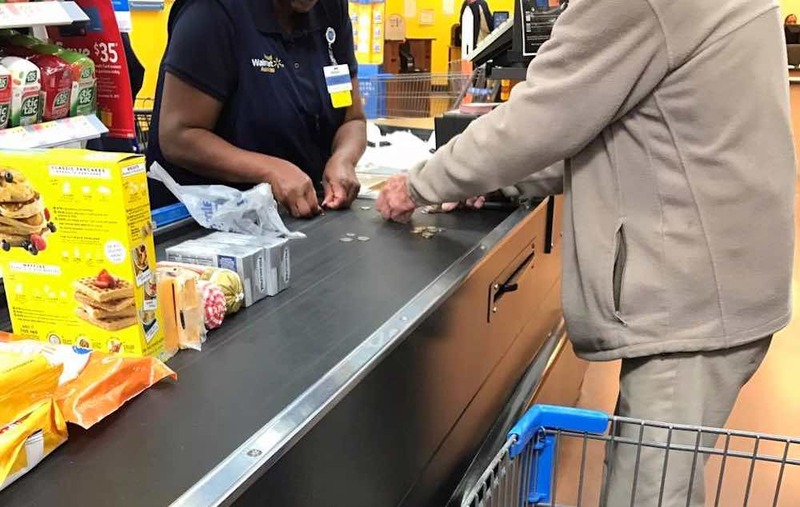 Facebook user Spring Herbison Bowlin of Clarksdale, Mississippi posted a photo to social media last week of a Walmart cashier helping an older man count his change. After the cashier gave him the total for his groceries, the man was apparently embarrassed by having to pay in coins, even though Bowlin insisted that she didn’t mind. Then, the woman behind the counter offers to help. Once the transaction is finished, Bowlin thanks the woman for patiently helping the senior, and she responds with the most wonderful piece of wisdom. In light of the cashier’s compassionate advice, the post has already been shared thousands of times. “I want to be more like her,” added Bowlin.